Details: Ray pays regular visits to the Arriva offices behind Wood Green Garage, and usually finds at least a few service vehicles present. Unfortunately these are usually unmarked these days, and can be hard to tell apart from the private vehicles that are also parked there. 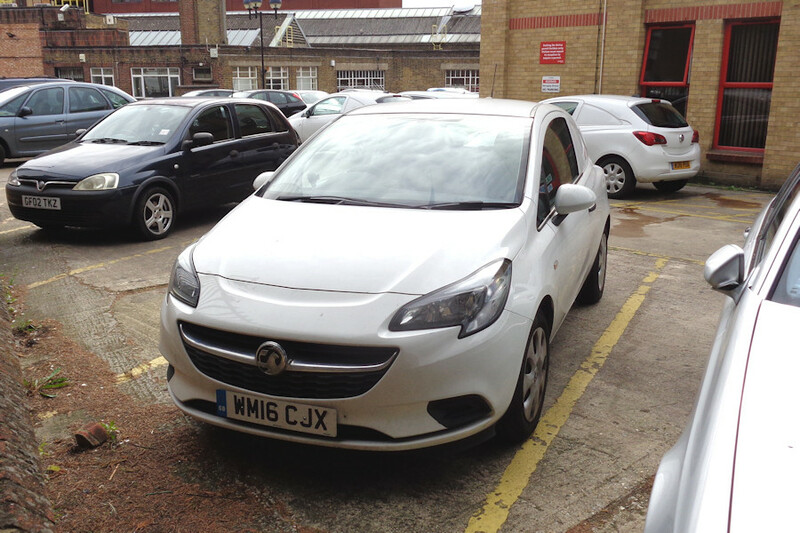 On 4th October 2017 previously unreported Vauxhall Corsa van WM16CJX was found, with similar WO16PUA visible in the background.